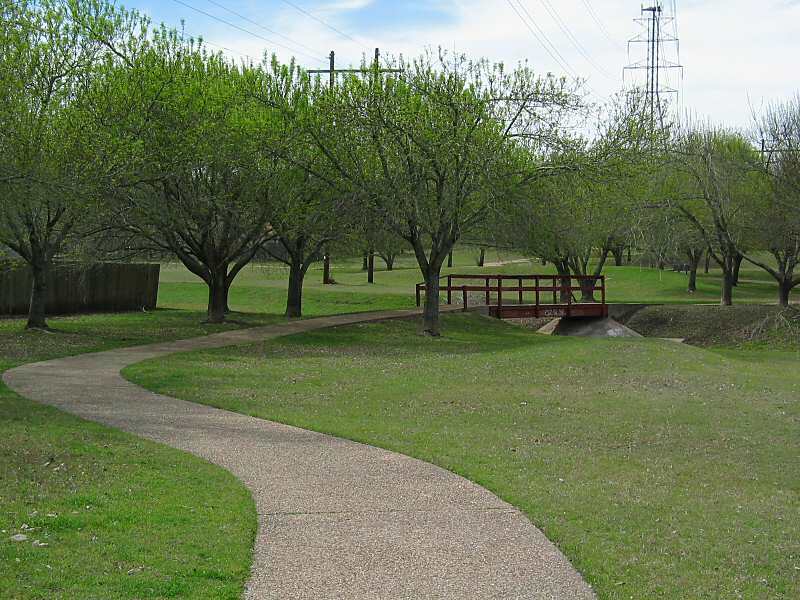 The Austin Map Project: View picture "Ash Grove"
This is Gracy Woods Park in North Austin, Texas. 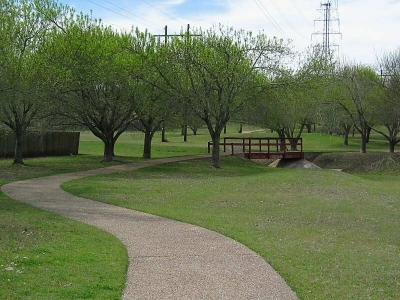 The park is located a block or two north of Braker Lane between Swearingen Drive and Metric Boulevard. I moved into a condo in this area in January of 2004. I finally got a nice weekend and went to explore the park with my camera. The Lower Colorado River Authority had planned to cut down many of the trees to keep them away from the power lines (LCRA lines are the ones on the wooden towers in the photos below). They now plan to have talks with neighborhood groups about the problem. I hope a solution can be reached. This is really a beautiful area and it would be a shame to lose the trees. I hope I can get better photos of the area before too long.